For anglers who want all the reliability, durability, and quality of unrivalled Shimano Baitrunner technology, but who don’t want to pay the price tag, the Shimano Baitrunner ST RB is the perfect choice. The Baitrunner system is one of the easiest to use on the market, which has made it a favourite for carp anglers worldwide, whether they are life long carp fishing fanatics or newcomers to the sport. The ST RB is no different. The Shimano Baitrunner ST RB contains all the features you’d expect from a high performance Shimano Baitrunner reel. 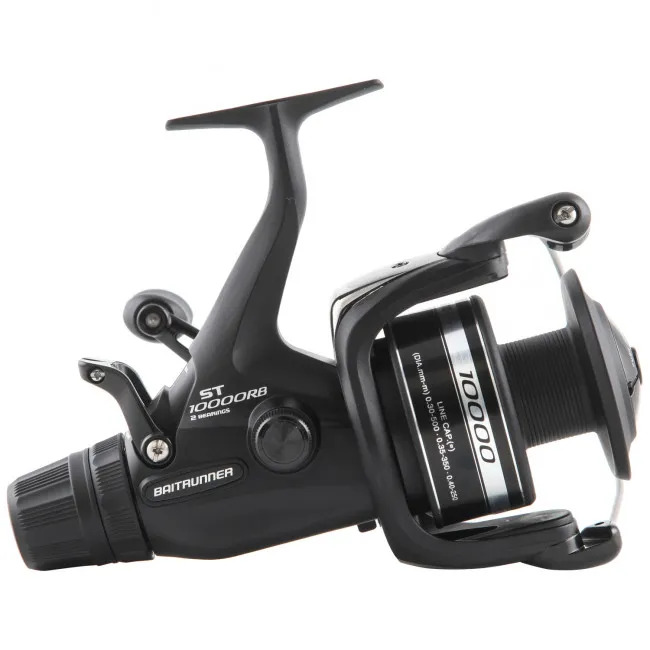 It is manufactured from XT7 carbon, which is Shimano’s go-to composite reel material. 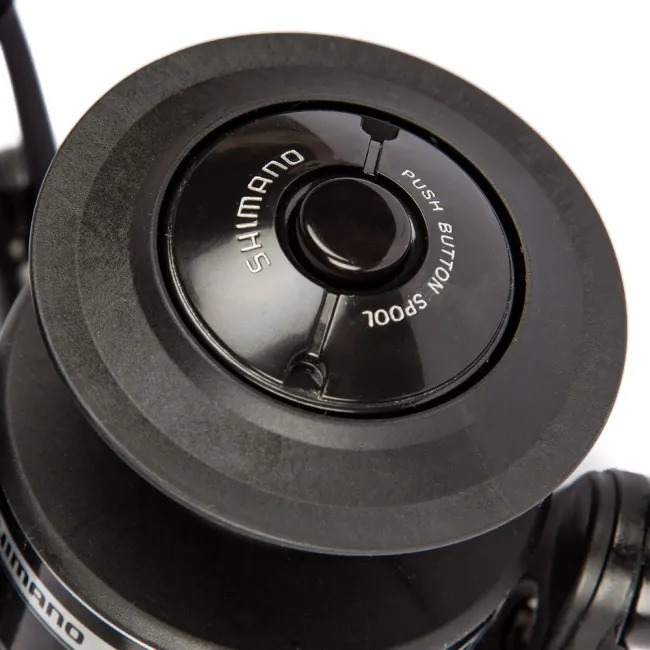 This creates a strong and rigid housing for the reel’s mechanisms, ensuring that it can stand up to intensive use over an extended period of time. The spol on the reel is manufactured from lightweight aluminium and is constructed on Shimano’s patented AR-C design. This is an uniquely designed spool with an angled spool lip – proven to prevent backlash and wind knots when you’re casting with a braided mainline. This also helps all line types to peel from the reel in small coils, which aids with accurate distance casting. Power Roller also helps to eliminate the risk of line twist, whether you’re fishing with a braided mainline or a monofilament line, and this really comes into play when you’re fishing with line on the thinnest end of the spectrum. 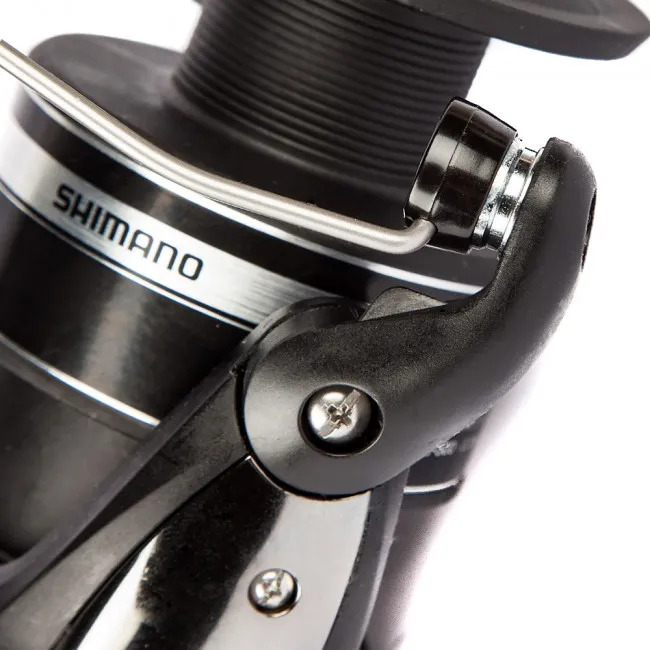 The Shimano Baitrunner ST RB is also fitted with the brand’s Varispeed line lay technology. This is a dual gear system – one oval and one square – which ensures that you experience parallel line lay each time you spool up. The reel’s balanced double handle is fitted with Super Stopper II, which eliminates rearward blackplay when the reel is set in anti-reverse. DynaBalance removes reel wobble on the retrieve, too, and it ensures that all the power you push through your handle is directed into the gearing. 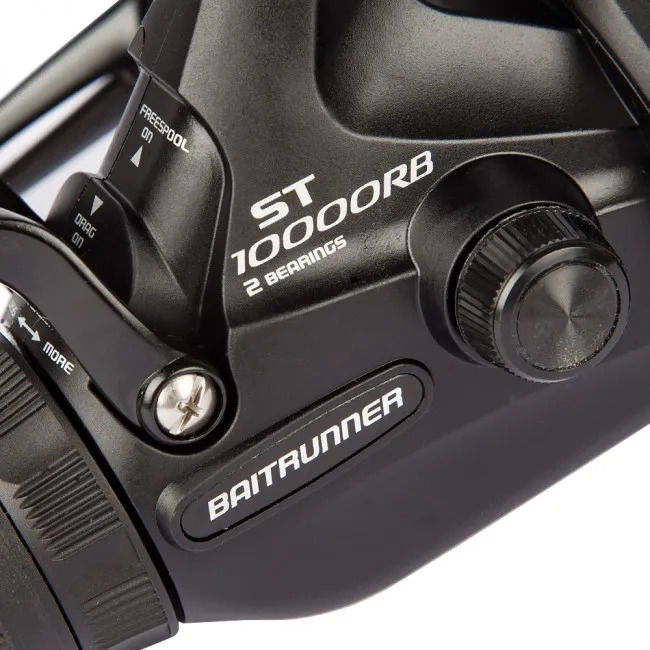 As the name suggests, the Shimano Baitrunner ST RB operates on Shimano’s famous Baitrunner system. For those who haven’t used it before, this is a lever that is located on the rear of the reel. By activating this lever, it allows the reel to operate in a controlled freespool. This enables any fish which takes your bait to be able to run freely with your line. You can then deactivate the lever to reengage your drag, allowing you to determine exactly when you’re setting your hook to play your catch. This is a system which is revered by expert and novice anglers alike and, if you’ve never used it before, it has the ability to revolutionise the way you fish. 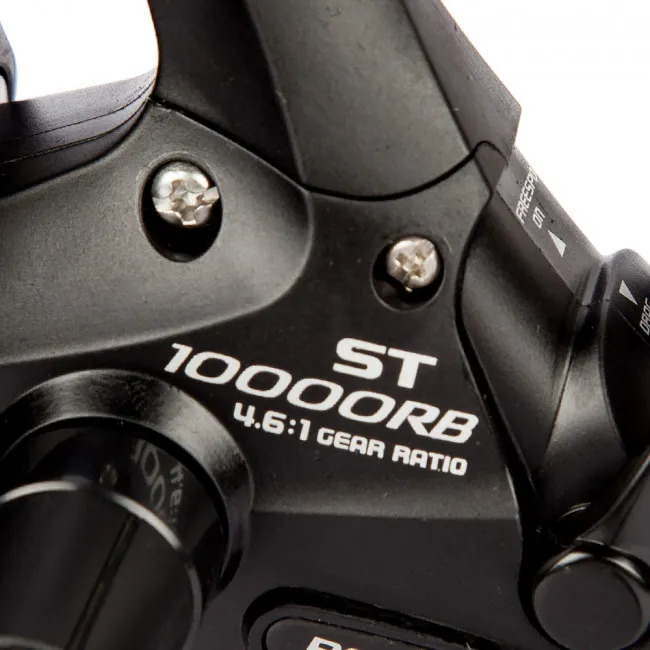 The Shimano Baitrunner ST RB comes in two sizes: 6000 and 10000. The smaller 6000 is the perfect reel for anglers who enjoy targeting medium sized carp, barbel, and tench. It also performs excellently for predator fishing for pike and zander. The larger 10000 packs that little extra punch, and is primed for anglers whose target fish are on the larger end of the spectrum. Both reels are suitable for large and small waters alike and feature powerful 4.6:1 gear ratios. 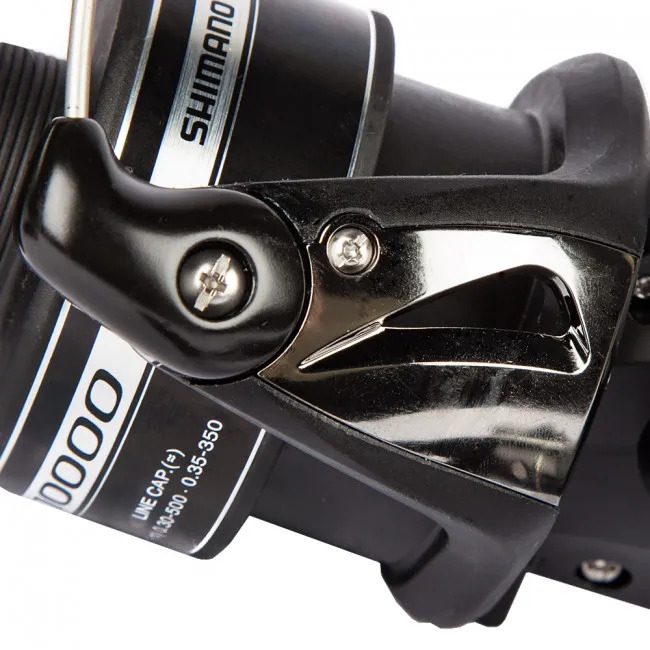 This ensures that the reel delivers plenty of power when you’re playing large fish, no matter if you chose the 6000 or the 10000. All the stats indicate that the Baitrunner ST RB is an excellent reel at an unbelievable price, and not only does the reel perform exceptionally but it also looks stunning too. Keeping with the latest trends, the reel features understated graphics and has a sleek matt black finish. This ensures that it will look great sat on any top end carp rod. As good as the old forerunner only.one draw back there is no spare spool. Easy to order and excellent service, i have already recommended this company to my family and friends. Its a Shimano! great value baitrunner. Ordered for my brother as he's taken up carp fishing. 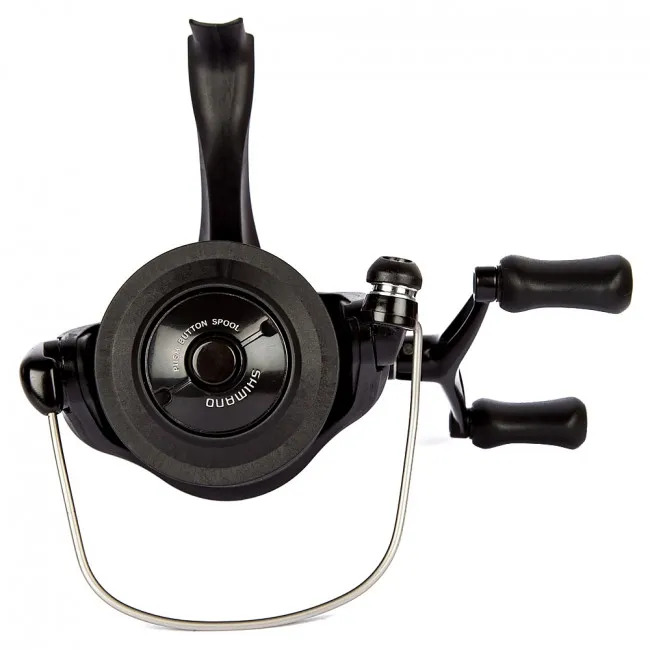 Great reel for a great price,fast and efficient seller. Not tried it but certainly not disappointed ..cannot wait to use my new Shimano 10000 ST RB ...GREAT REEL . Good quality reel for the money. Bought this to go with my Shimano Forcemaster AX Commercial Feeder Rod. Looks good and feels good. Not tried them yet, but really looking forward to using them. Excellent value and performance. Sets a good benchmark standard in this price range. Easy to see why this product appeals and is used by many anglers from novice to experienced. Shimano’s budget baitrunner still better than most other manufacturers top end free spool reels, a name you can rely on & a bargain at the price. I have 3 of these reels and have had no problems what so ever with them. Excellent value for money. Spot on reel got the 10000 for same price as 6000 l purchased recently elsewhere. Seem to be well made, But haven't used them yet. Can not wait to use them. Very smooth and easy to use reel. Only £39 each and will probably last decades. Great reels. Have had them before and can't fault them. Already have 2 of these and they are ace! Good price and are more than capable of dragging in huge fish. My husband was really pleased with the product. Just what I expected from Shimano. I used it today for the first time for Pike Fishing and it did not dissapoint. 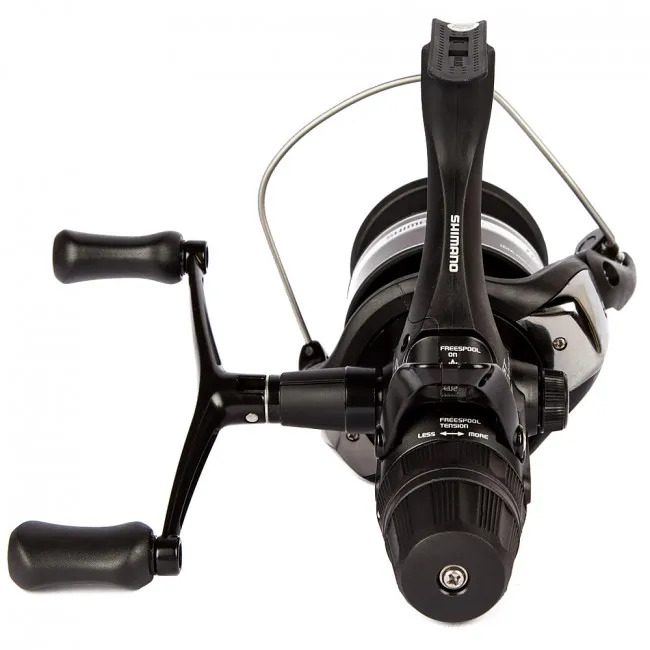 Value for money top notch, good quality construction with a solid feeling - ball bearings in reel feel very smooth. Have used similar product,upgrading,really good product. Good quality reel for the price paid. Shimano reel, nothing more to say. St Rb 10, 000. My wife bought this for me as a present. The last one helped me land a 31lbs mirror and a 50lb sturgeon. At less than £50 you can't go wrong. Just what was needed. I wanted a new reel and this is brilliant. Quality build and superb action. The quality reel I expected. I have 2 already. Excellent quality product. My first year of Carping and the reels cope very well. 4 30's to date. total confidence in the engineering. Realy good reel at this price. I have purchased a quality product which will last for decades at a price that is at least £ 25 less than the average retail cost. Got a shimano 6000 all ready and decided to get another at a great price. Landed a 35lbs sturgeon using it which says it all. Good value, good quality. Works well ! GREAT REEL FOR THE PRICE. Good price good reels. Quick delivery. Good value for money. nice reels. I have yet to use the reels, but, no doubt they will live up to Shimano's fine reputation for quality. Value for money. Virtually half price to my local tackle shop. Only used it once and it performed well. Price wise it appears a good buy. Great prices, fast delivery - what's not to like! Thanks guys (and gals). Brilliant value for such a high performing reel. Good value and quality, partner has one already. Quality reel and very fast delivery, a bargain at the price! Great real for my heavy feeder. Love it. Good quality and feel, can't wait to use it. Brilliant reels. For the price, you just cannot fault them. Not used them yet but the look and feel of them is very good. The drag adjuster feels rugged, smooth reel mechanism, bait runner works well. All in all I'm very happy and can't wait to give them a go. Bought for my husband. He loves them. fantastic reel for the money and christened them both in my first session! A quality item, great to use, would recommend to anyone wanting a new reel. Quality baitrunners on a budget. Looks good and easy to use. Great reel this. Fast retrieve Smooth action Reer drag & Bait runner. Couldn't ask for better. Really good reel and great value for money. This was the cheapest I'd seen on the web. Not tried it yet ,but have used Shimano baitrunner before so I know they will be good. great quality and price. excellent. My cheaper Nash gun reel feels way smoother with a way better drag function including front drag which this Shimano doesn't have.. First Shimano reel I have bought and was a little disappointed. The double rear drag system is frankly stupid as you can accidentally turn either one. 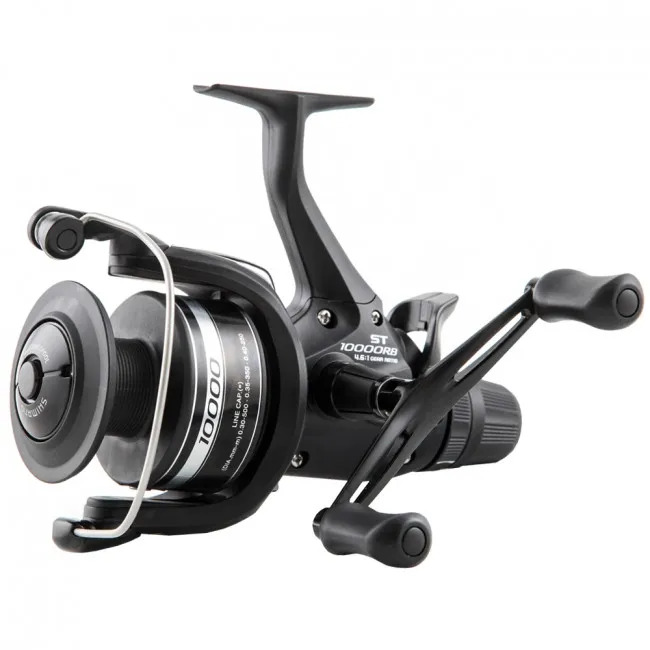 Shimano quality at a bargain price, probably the best value reel out there. Definitely would order again !! Been using my dads 15+ year old reels now (they were shimano too) and fancied an upgrade as just bought new rods too. Really solid reels and they don't feel cheap at all. They don't look as fancy as some of the others, but they are certainly worth the money. Bought this because I am pleased with the one I purchased 12 months ago and wanted another baitrunner. Perfect reels, well thought out and easy to use. Seem very sturdy! Can't wait to land some decent carp with these! Great reel, great price, great service as always. Bargain alot of reel for the money. Can't go wrong with shimano, couldn't find it cheaper following the discount deal. Excellent value! Very nice real for the price. Car'nt go wrong with shimano. Amazing value for the product, so smooth! Cheap but good. Smooth and great BR feature for short/medium range work. Because it works very well..and smooth to use..really brilliant i really really like it..
Quality reels at excellent price and very pleased with them having used them on several occasions now. Great reel to use, and a great price. I have always had sub standard reels but decided to get decent ones so opted for 3 Shimano reels and was not disappointed with them. Perhaps bulkier than some of the more expensive versions of the baitrunner you used to be able to get but does the job you would expect from a shimano baitrunner. I use mine for deadbaiting/spinning for pike. It seems n first use to be smooth and quick retrieve. I've been really impressed with this reel. The baitrunner function works very well and lets me ledger without a quivertip rod. I caught my biggest fish to date on it just the other day. It seems to give really positive bites. In honesty it's a little heavy for the rod I use, but that's just getting the combination of rod and reel correct and no slight on the reel itself. Only drawback is the one spool. Another would be most welcome! Apart form that, excellent reel! Brilliant reel, just what you would expect from Shimano and excellent valve for money too. Will be purchasing a second one! 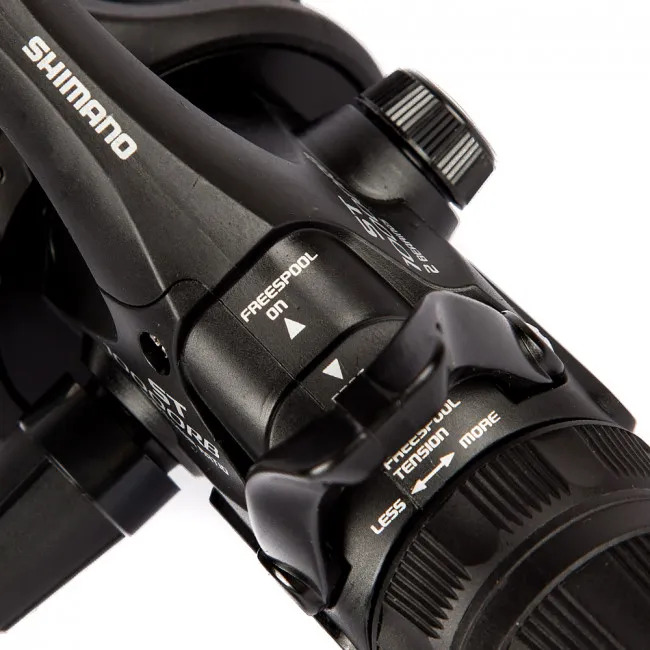 Exactly what you expect from Shimano and an awesome price. Great price for really good reels. Well pleased. Great bit of kit for the price. Tested it out the weekend after receiving it, and caught some nice carp on it (The biggest that weekend being a 12lb koi). Very smooth action, and the reel is a decent size for adding a lot of line to it. Great quality reels at great price. Great value for money . .
top of the range, caught four pike on first outing. Quality reel at a cheap price well worth buying !! Shimano reel is amazing . 5.0 kg of sturgeon come up easily. 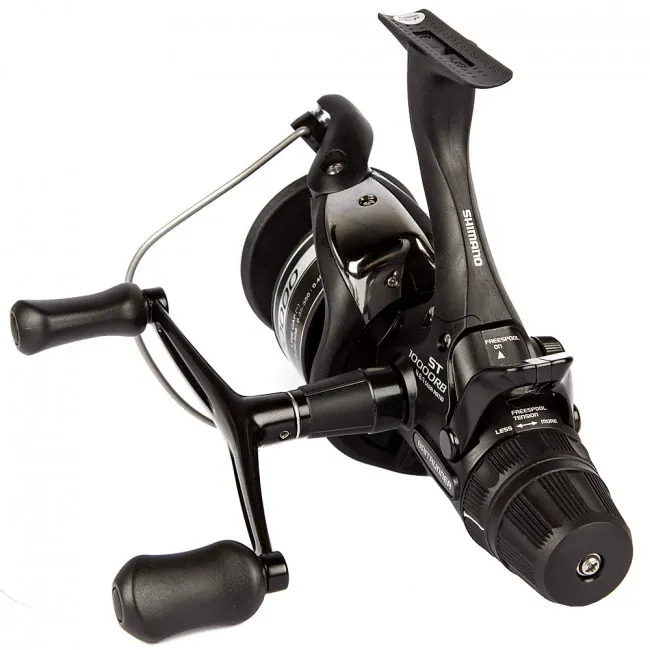 only used once thus far, but reels performed perfectly - excellent value for money with Shimano quality. QAULITY REEL AT A LOW PRICE BEEN USING SHIMANO REELS FOR 20+ YEARS NEVER HAD A PROBLEM WITH ONE ...A FANTASTIC REEL THAT WILL LAST A LIFETIME..
Haven't got chance to use them yet, can't wait to break them in. They are really well made, nice looking! Smooth easy to use. Bought it for my wife. Very pleased with price of reel and that the fact that it is Shimano I know that it will stand the test of time and not let me down. Very good reel, smooth and value for money. Nice lightweight. Brilliant bait runner. , going to use them in france soon will know more after that. Smooth reels,wish i had bought them years ago. great reel for the money BUT only one spool. excellent product .shimano equals quality. Can't wait to use it excellent quality. Already had one which Is why I bought another! Very good reel!